Little Elf, our Elf on the Shelf, first came to visit our house when Bella was 3. Since then, the kids have anticipated his arrival in the hopes of seeing all of the fun things he’ll do. Over the years, he’s thrown them a big breakfast, had a tea party with the princesses and even performed a science experiment. While we’ve enjoyed creating these situations for him, we’re honestly running out of ideas. What else can Little Elf do? 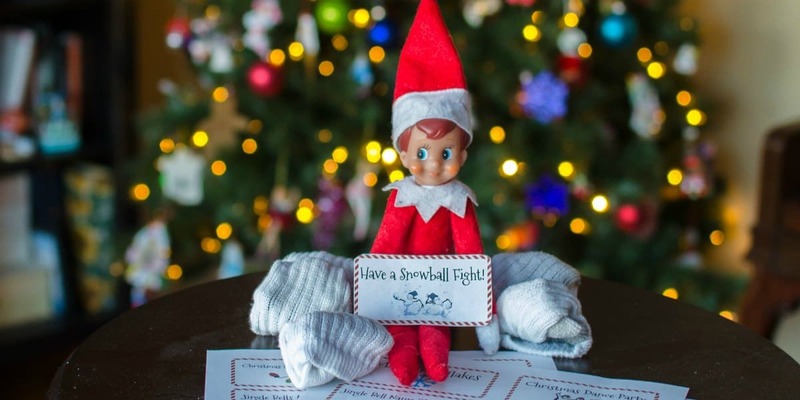 We stole the idea of an advent calendar and combined it with our resolution to make this a year of play and came up with 24 Days of Play for our Elf on the Shelf. James wrote a wonderful post earlier in the year about how to add more play to your day. It’s so important for kids to play, in any way, at some point during their day. Not only is it important for kids, but parents need some down time too, especially during the holidays. December can be such a stressful month. 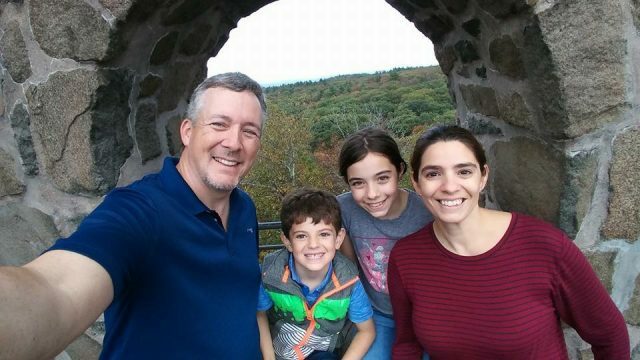 Taking some time to relax and play as a family can make the holidays a much more pleasant experience. And it will save your sanity too! To coincide with our year of play, Little Elf is bringing play back in a big way. We’ve come up with a plan to get our family playing everyday throughout the holiday season. Parents’ biggest gripe about Elf on the Shelf (besides remembering to move it) is the elaborate set ups and preparation it takes. By using the Elf as a vehicle to deliver each day’s activity, it takes that stress out of the equation. All you have to do is have your elf show up with the next activity. 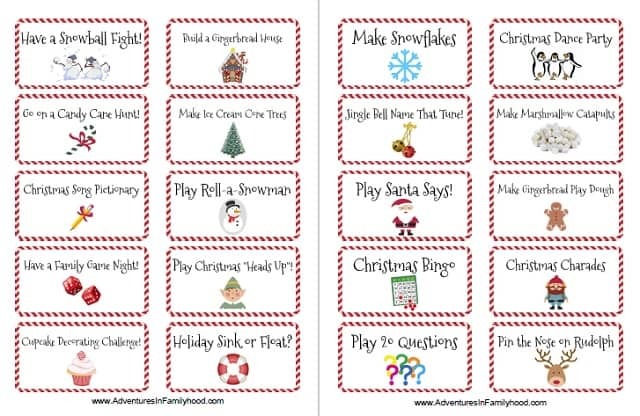 Using the 10 ways to put more play in your day as a guide, I came up with a month’s worth of holiday-themed family activities that will keep your family playing throughout the holidays. Here are those 24 ideas, in no particular order. Have a Snowball Fight – Use snow, rolled up socks, pom poms or your imagination to have a snowball fight. Candy Cane Hunt – Hide candy canes around the house. Have the kids search for them together. Build a Gingerbread House – Use LEGOs, popsicle sticks, or any materials you have to create a gingerbread house. Christmas Heads Up! – Write Christmas movies, songs, things on index cards. Try to guess which card is on your head. Make Snowflakes – Conduct a Borax snowflake experiment. Holiday Sink or Float – Gather a collection of holiday items. Guess whether the item will sink or float. Then give it a try. Jingle Bell Name that Tune – Use jingle bells to play your favorite Christmas song. Have others guess which one it is. Play 20 Questions – Think of something Christmas-y. Have others ask questions to try to guess. Make Marshmallow Catapults – Make a catapult out of Popsicle sticks. See how far you can catapult a mini marshmallow. Christmas Charades – Act out your favorite Christmas Story and see if your family can guess it. Play pin the nose on Rudolph. Go on a Christmas decoration scavenger hunt. Jingle Bells Memory Game – Use chocolate kisses to make a memory game. Possible themes are compound words, letter matching, picture matching etc. Trim the Tree – Create teams. Choose one person on each team to be the human tree. Use streamers, bows, ribbons to decorate the “tree”. Christmas Mad Libs – Substitute the words in a Christmas Poem or Carol, Mad Libs style, and read or sing aloud! These are simple, yet fun ideas the whole family can enjoy. Many of them don’t require you to spend a lot of money, either. On top of that, each of these ideas has developmental benefits for the kids and can help grown-ups lessen the stress of the holiday season. Download, print and cut the entire list. Use them in any order you wish. The free printable includes a few blank cards for you to add in your favorite ways to play! Don’t have an Elf on the Shelf? Not to worry, you can use these as an advent calendar of play. No Elf required. Got ideas we missed? Put them in the comments so all our readers can see them, too!